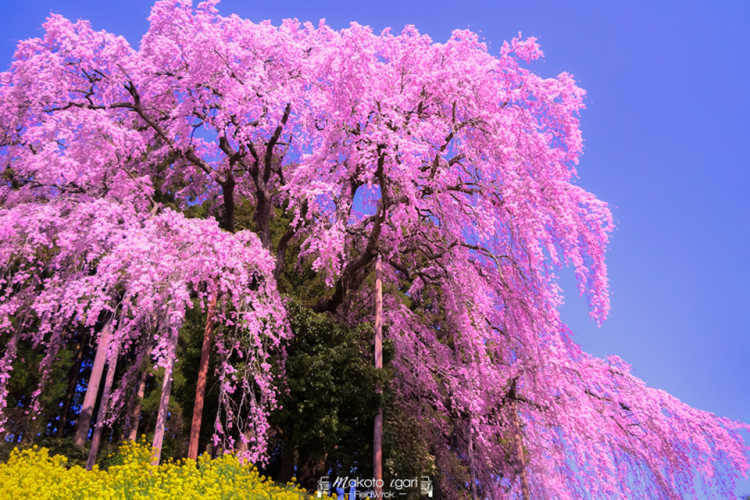 I introduce 'a weeping cherry tree in the battle site' in Fukushima, a Mecca of cherry trees standing alone. In this area, Miharu-taki cherry is famous though, its grandchild is this weeping cherry. I want you to visit here after seeing Miharu-taki cherry. Here's said to be a battle site of the old sanurais.